It’s location, in a wonderful valley on the banks of the small and fish-filled river l’Homme, is truly unique. 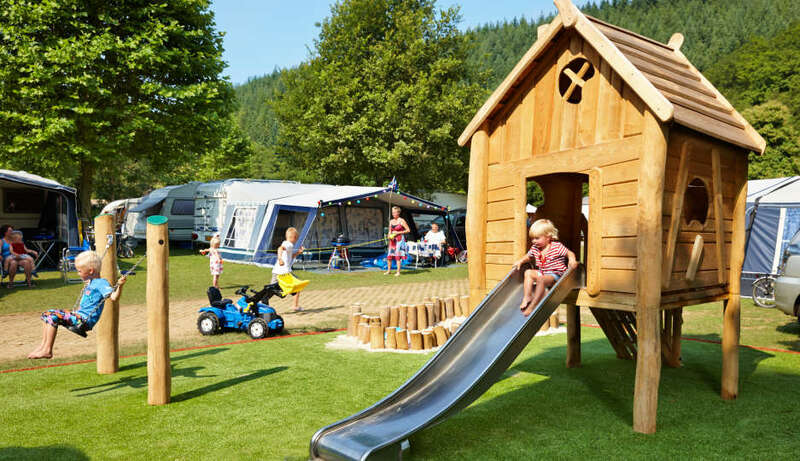 At Parc La Clusure you’ll be able to rent different accommodations, including Bungalennes, luxurious mobile homes with 2 or 3 bedrooms, Bungalow tents and Lodge tents. Campers can rent spacious camping spots offering lots of comfort. This great campsite with premium facilities is known as a holiday park with a sensational recreation program and an offering of several outdoor sports. The camping pitches at Parc La Clusure are flat and level, drained and well maintained with lots of flowers and plants. Most mobile homes at Camping Parc La Clusure are from Louisiane, a brand known for the attractive combination of quality, luxury and comfort. On to a wonderful holiday. Fully equipped rental tents for 4 or 5 people offering the comfort of a mobile home. The convenience of a ready-made tent in combination with the experience of the pleasant camping feeling.